I have not posted in a while and just wanted to say Happy Halloween to any visitors out there. 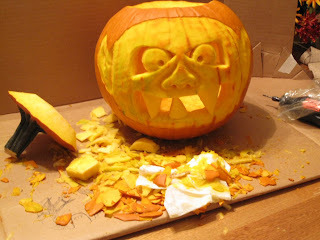 For your enjoyment I have posted a few pics of my pumpkin carvings for the past few years. Hope you enjoy them! (2007) Fairly pleased with the outcome of this one. I just grabbed a few knives and made it up as I went. Technology enthusiast who really enjoys a good challenge. I currently have 20+ years experience in the Computer/IT Industry along with a handful of Microsoft and A+ Certifications. In a nutshell...I like to build, modify, improve, innovate and fix everything and anything.